A beautiful greenery inspired bridal shower invitation featuring modern fonts paired with a greenery collections of hand drawn florals and leaves. The background has a watercolor backwash of pale lavender, which can be changed to coordinate with your shower colors. 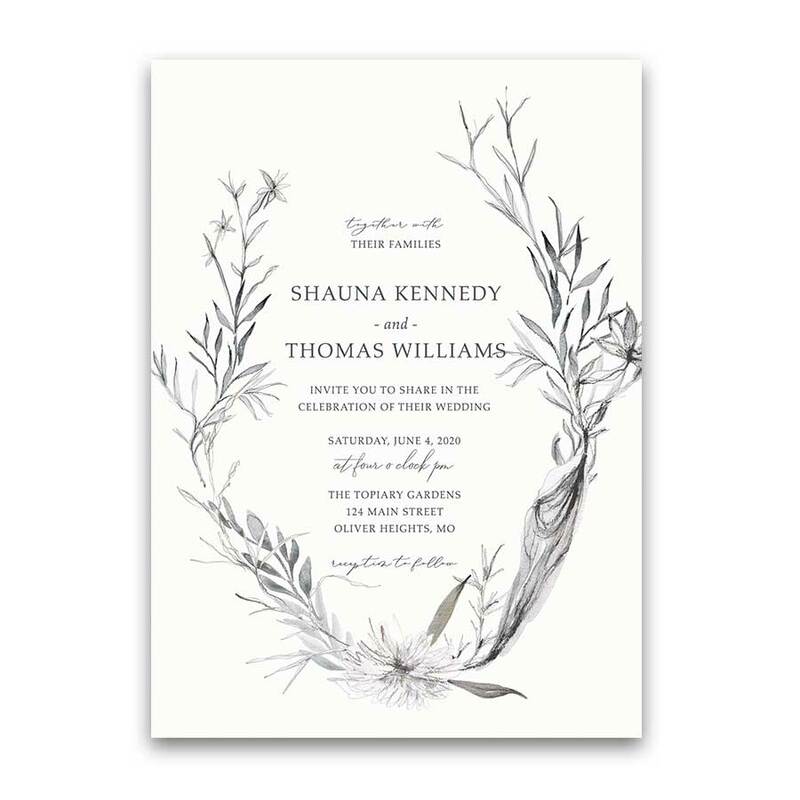 A gorgeous and modern wedding invitation which will set the stage for your wedding day nuptials. Each card comes with an accompanying envelope. Shower Invitations Bridal Wedding Shower Floral Calligraphy Script. 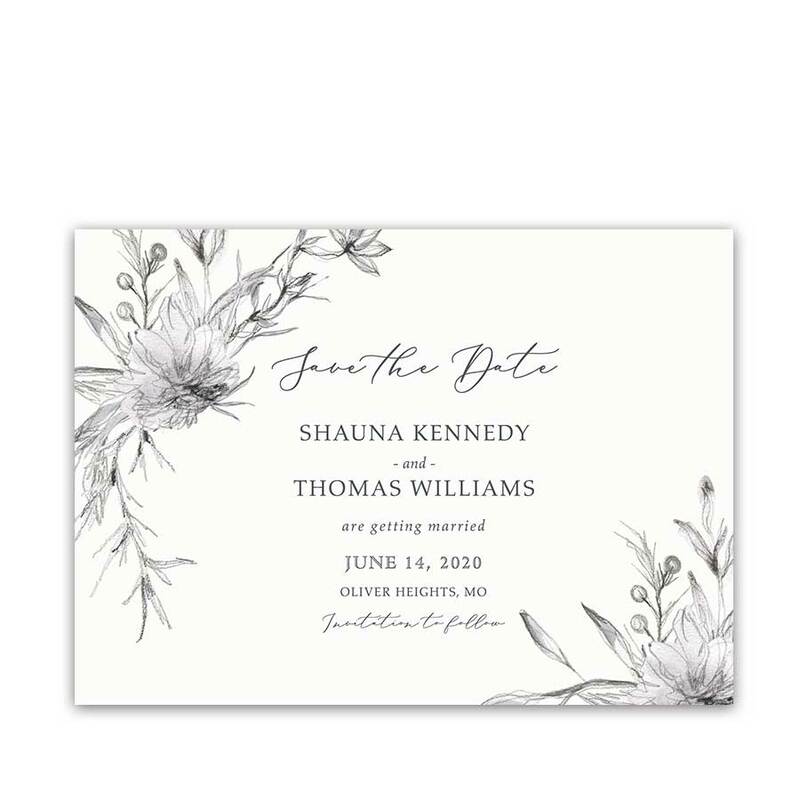 Hand sketched greenery and florals with a watercolor background are the basis of the design for these modern boho chic bridal shower invites. Each invite will also come with a coordinating envelope. The watercolor backwash color can be changed. This custom bridal shower invitation features hand drawn florals and greenery sprigs as the foundation of the design. 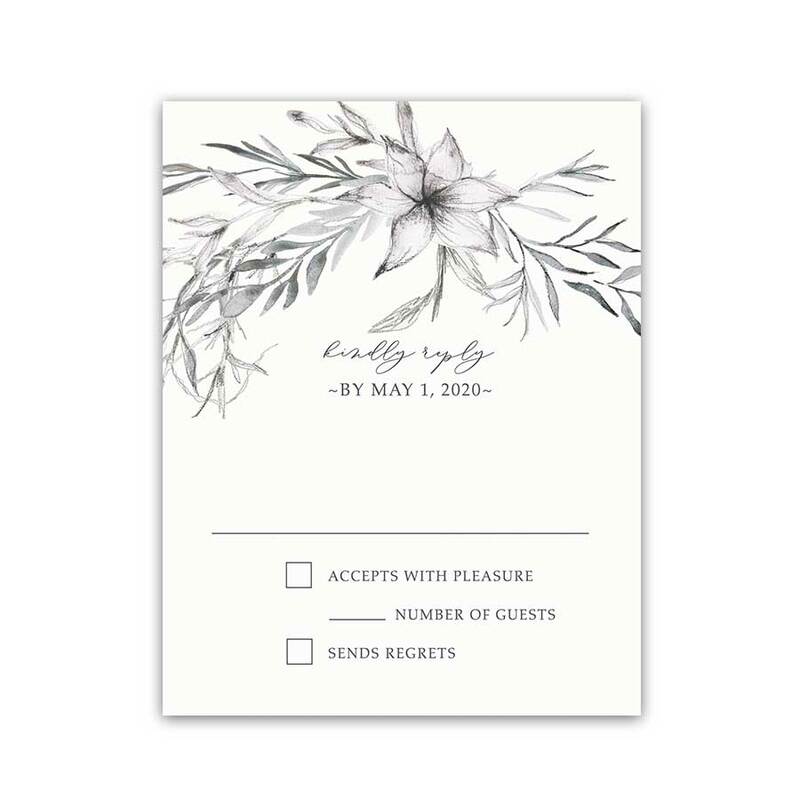 The invitation also combines lovely modern calligraphy lettering with stylish font layouts on a white background. This design boasts a watercolor wash of pale lavender. Change that color to coordinate with your shower colors in the notes to seller. The shower invite is perfect for so many themes. Welcome to the Chatham Gardens Collection. 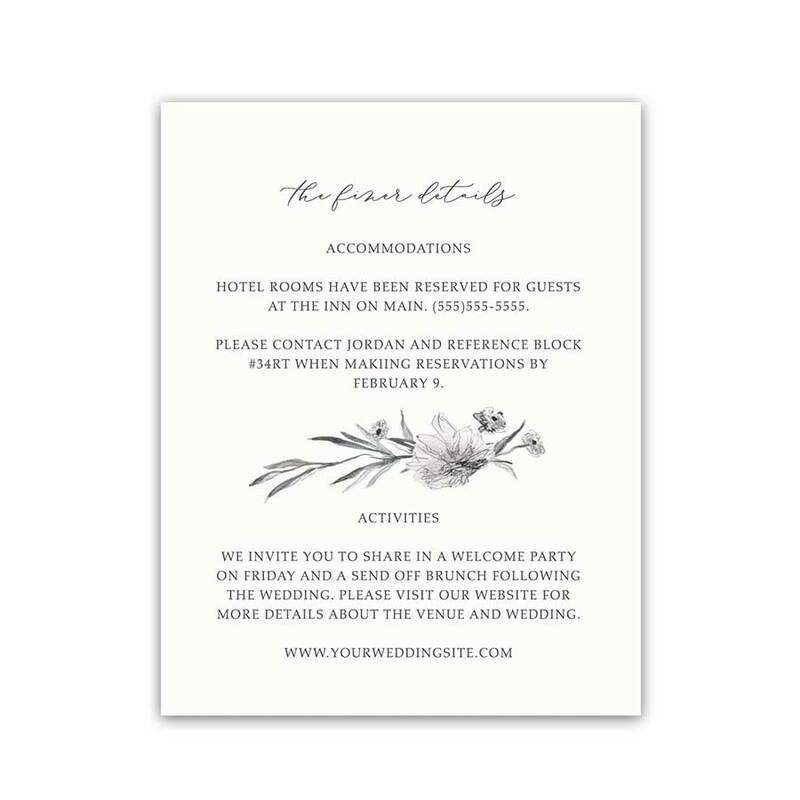 The wedding shower invite is great for: vineyard weddings, greenery weddings, minimalist wedding celebrations, country chic weddings, bohemian weddings, outdoor weddings and floral weddings alike in spring, fall, winter and summer months. 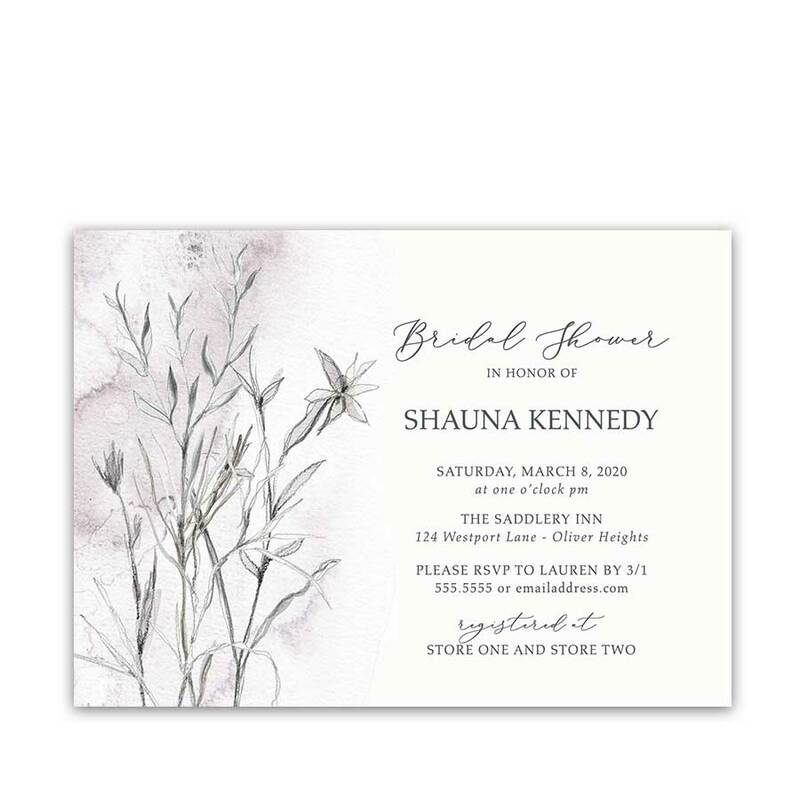 More modern bridal shower invitations are available in the store as well. Also, be sure to check out our Pinterest Wedding Boards for more wedding inspiration and ideas. The Shower Invitations Bridal Wedding Shower Floral Calligraphy Script measure 7 inches wide by 5 inches long. Cards are also printed on our Signature paper and each card will have a coordinating envelope. In addition, the back of the card will be white. Simply provide you with your wording at checkout and we will handle the rest. Please be sure to include the exact wording as you would like it to read in the space provided on the order form. Also, you will have the option to correct errors upon receipt of the proof files.